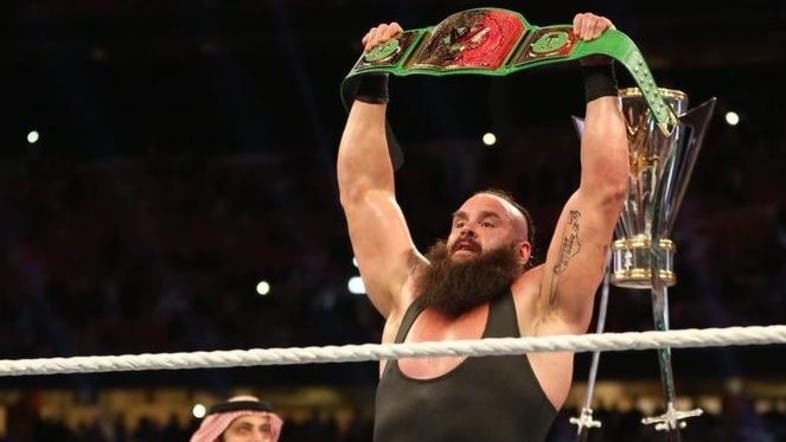 Braun Strowman, also known as Adam Joseph Scherr, has won the first-ever Greatest Royal Rumble Match in Jeddah in the early hours of Saturday. The professional wrestler and former strongman currently signed to the professional wrestling promotion WWE, where he performs under the ring name Braun Strowman on the Raw brand. Meanwhile, according to another video released by WWE, Saudi prospect brought the fight to The Daivari Brothers. “These Saudi Arabian @WWE prospects just brought the fight to The Daivari Brothers in a BIG way at #WWEGRR!”, the tweet read. Al Arabiya had earlier reported that wrestling fans’ most favored freestyle wrestling show stars, WWE, arrived in Saudi Arabia on Saturday ahead of the Greatest Royal Rumble wrestling event. Organized by the Saudi General Sports Authority and in partnership with WWE, the event took place at the King Abdullah Sports City in Jeddah on April 27.